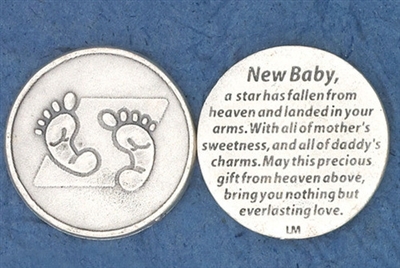 Pocket token reads: a star has fallen from heaven and landed in your arms. With all of the mother's sweetness, and all of daddy's charms. May this precious gift from heaven above, bring you nothing but ever lasting love.